Who can forget Jimmy Stewart's daughter in IT'S A WONDERFUL LIFE(1946)? 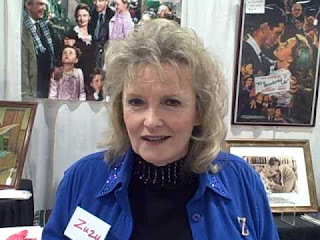 Karolyn Grimes (born July 4, 1940) is an American actress known for her role as "Zuzu Bailey" in the Frank Capra classic It's a Wonderful Life. 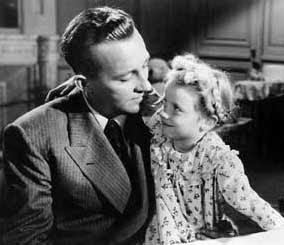 Grimes also played Bing Crosby's daughter in the big budget musical BLUE SKIES in 1946. 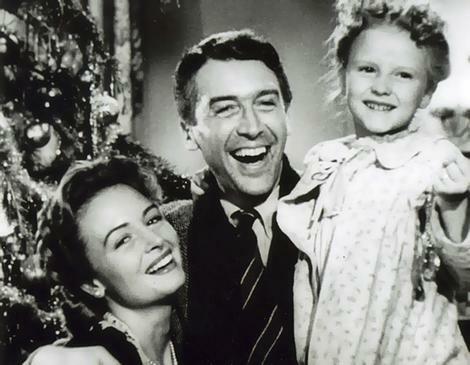 She also played "Debbie" in the 1947 Christmas film, THE BISHOP'S WIFE starring Cary Grant, David Niven, and Loretta Young. Grimes was born in Hollywood, California. Her mother pushed her into acting, but her acting career declined with her mother's health. The latter died from illness when Grimes was 14, and she lost her father from a car crash a year later. A court ruling sent her from Hollywood to Osceola, Missouri, where she lived in what she called a "bad home" with her aunt and uncle. She went to college, married, raised kids, and became a medical technologist. Years after her movie stardom, she gave local interviews in the 1980s and national interviews in the 1990s. Her first husband's death in a hunting accident, 18-year-old son's suicide in 1989, and second husband's death from cancer in 1994 made it difficult for Grimes to move on. After she suffered a serious financial setback during the early 2000s recession, she made a career of her advocacy for the film, whose hopeful and optimistic message she now says she can relate to. Add "Rio Grande" to the list of Karolyn's movies. She starred with Bing, Cary, Jimmy S. and the Duke! Wow, that little kid was lucky!